Rotorua is like nowhere else. Situated near the centre of New Zealand’s North Island, it’s a geothermal wonderland, a playground for adventure seekers, an opportunity for cultural understanding, and a place to relax and heal. Our recent visit shattered my misconception of Rotorua as an overpriced tourist town. What I found was a paradise that left me wanting more. Even the cloudy, rainy weather didn’t deter us. If you are wondering what to do in Rotorua, then read on. 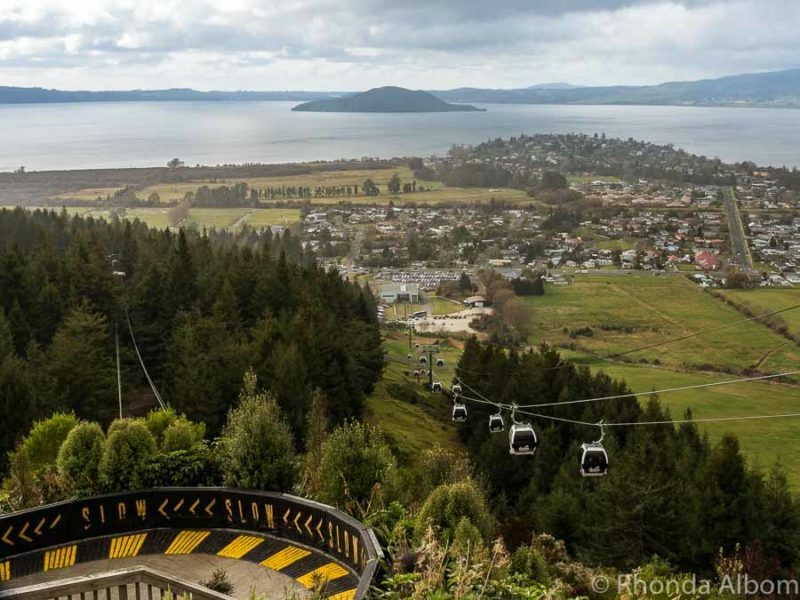 Beautiful even on a rainy day, the panoramic view shows the gondola cars, the hillside, a banked turn on the luge track, and Lake Rotorua. Speed and control make the Skyline luge the ideal family-friendly adventure activity. 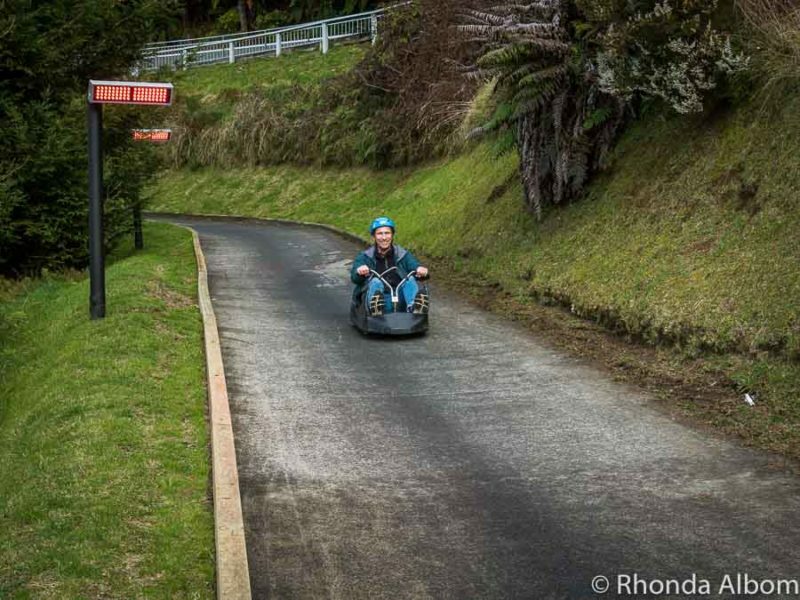 Designed in Rotorua (1985), it is the world’s first gravity-fueled three-wheeled luge ride. Young or old, the luge is a thrill for anyone who can reach the handlebars (children under 110cm ride tandem with an adult). Control is easy, turning instinctual, and safety is paramount. Helmets on, we took the scenic track for our first run although, Jeff preferred the faster intermediate option. Once at the bottom, a chairlift brought us up for another go. Skyline Luge – Go Jeff! A unique mix of nature and adventure, the Redwood Treewalk is an opportunity to view Rotorua’s Redwood forest from 6 – 12m (20-39ft) above the ground. 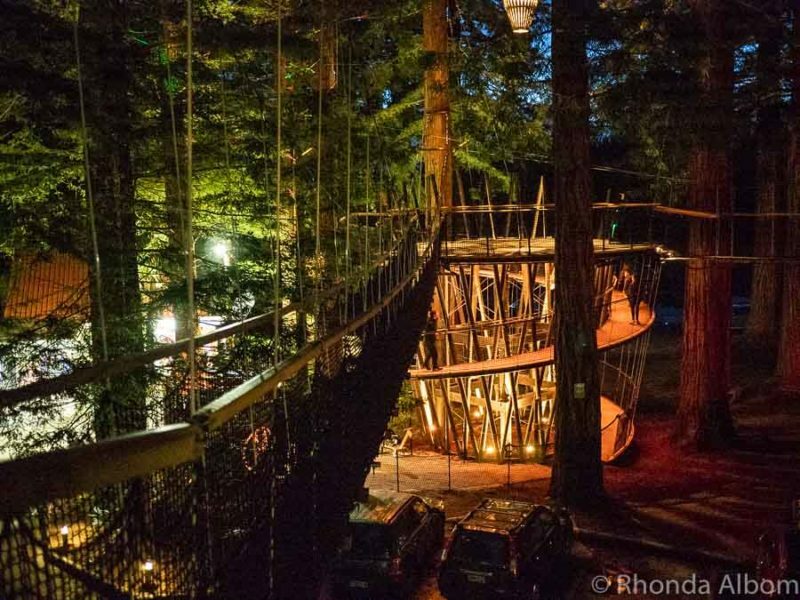 We chose the Redwood Nightlights, taking the 23 suspension bridges after dark, looking out over a forest colourfully lit by 30 lanterns and 40 colour spots. Unique, serene, and magical, I only wish I had walked both day and night, as I imagine the daytime walk feels completely different. Everyone moves in the same direction through the 600-metre tree walk. Each viewing platform surrounds a 117+ years old Redwood tree, has interpretive signage and is a resting point between two bridges. The newest platform is optional and up a flight of stairs to 20m (65 ft) above ground level. The sensation is hard to define. OGO Rotorua calls it downhill ball rolling, but the name doesn’t mention that you are inside the ball. Comfortably encased in a giant two layer bubble sphere, a push at the top sets the OGO rolling downhill. We opted to keep dry (DRYGO) which resulted in a slightly slower ride. The other option, H2OGO, has participants sitting directly in the warm water. Either way, as the ball rolls, the rider remains at the bottom, sometimes almost unaware of the movement, other times sliding around as they roll. Everyone emerged with a smile, and those who chose ‘wet’ also enjoyed a hot tub. If it reminds you of something else, keep in mind that OGO is the place for the world’s longest, steepest and fastest downhill ball rolling tracks. Jeff inside the ball rolling down the Sidewinder track at OGO Rotorua. There is no way to do it all in a three-day visit to Rotorua. We are delighted with our choices, but there is plenty that we missed. 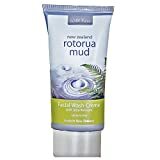 If I only had time to visit one place in Rotorua, I would be hard pressed to choose between Waimangu Volcanic Valley and Wai-O-Tapu Thermal Wonderland. One is new by geological time, the other very old. IMPORTANT NOTE: Geothermal pools can, and frequently are, hot enough to badly burn. Do NOT dip your feet or hands in to test the temperature of the water. Temperatures can change over time, so take extra cautions in unmonitored areas. If you are looking to absorb yourself in an untouched, young, and ever-changing landscape, this is it. With the eruption of Mt Tarawera in 1886 (New Zealand’s largest recorded volcanic eruption) came the creation of the Waimangu Volcanic Valley (also called the Tarawera Rift). It created lakes, changed the landscape, covered the famous Pink and White Terraces, and left a clean slate for nature to rebuild. Understanding history makes the experience stronger, so be sure to follow the guide that is provided when you enter. The main walking trail is about 4km and leads from the visitor centre to Lake Rotomahana. From here, we opted to take the boat and further explore from the water. If you don’t want to walk all or any of the trail there is a shuttle bus to the lake that makes several stops along the way. Formed from volcanic activity dating back 160,000 years, Wai-O-Tapu Volcanic Wonderland is a surreal, mystical place enhanced by rising steam and nature’s dreamlike palette of colours. Visitors walk on boardwalks and paths through the Wai-O-Tapu Wonderland, passing collapsed craters, boiling pools of mud or water, colourful mineral deposits, a forest, and steaming fumaroles. The craters range in size with the largest measuring 50m (164 ft) in diameter and up to 20m (65 ft) deep. The pools and lakes are even larger. Lady Knox is a natural geyser that gets a bit of help waking up every morning at 10.15. Its exciting history began in 1901 when prisoners were cleaning their laundry. Their soap reduced the water’s surface tension, resulting in the geyser’s eruption. Today, a bit of a similar soap is added every morning, the result being a geyser worth visiting. Entrance is included with your ticket for Wai-O-Tapu, although it is about 3km away with its own carpark. Right in the centre of town, Kuirau Park is New Zealand’s only geothermal public park. 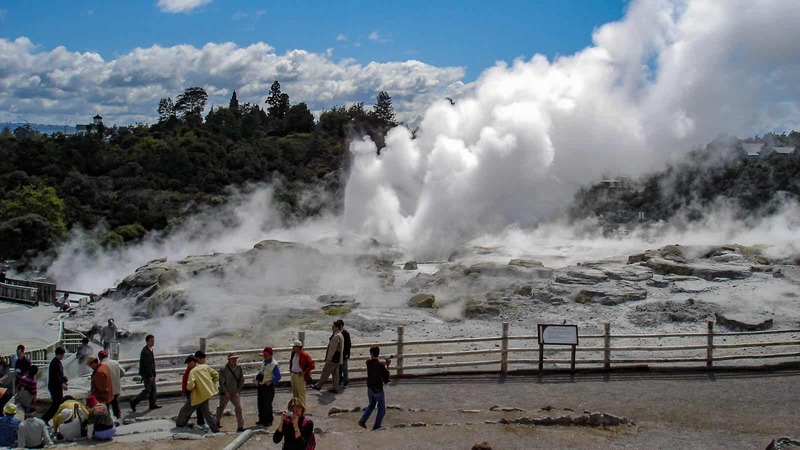 It’s an opportunity to see steaming and bubbling geothermal activity for free. Māori legend tells us that Lake Kuirau was once cool enough for bathing. It was named for Kuirau, a beautiful woman who swam here often. A Taniwha (water monster) also lived in the lake. One morning the taniwha snatched Kuirau. Legend never determined whether she died of fright or if the Taniwha took her back to his lair. The Gods were so angry that they made the Lake Boil to kill the Taniwha. Visiting Kuirau Park is one of the free things to do in Rotorua. Rotorua is deeply rooted in Māori history, culture, and legend. 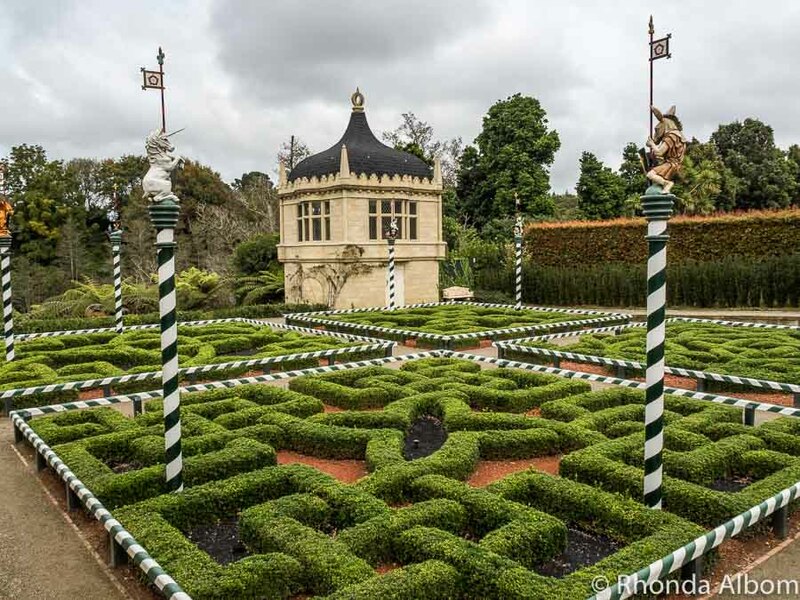 From angry gods boiling the earth to love stories, the area is vital to New Zealand history. Much of the sacred lands in the region is shared with visitors by the Ngāti Pikiao, Tūhourangi, and Ngāti Whakaue iwi (tribes). 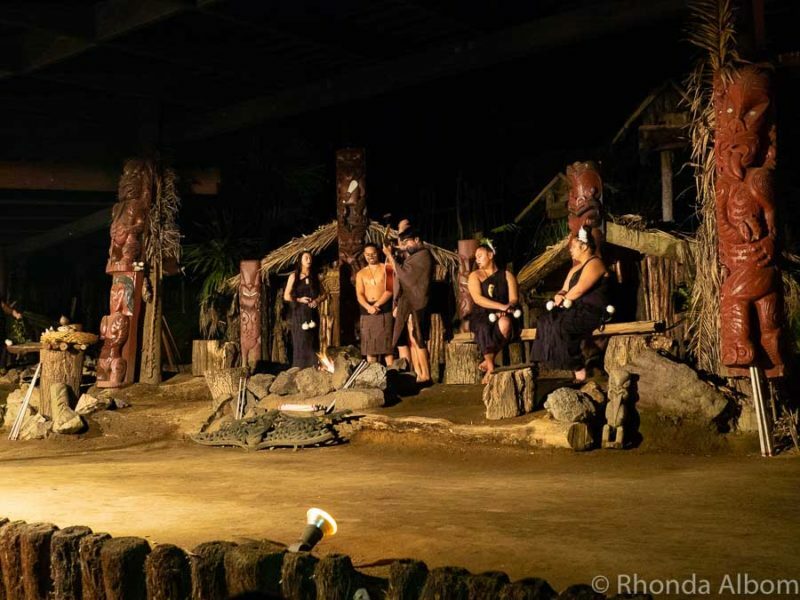 Our evening at Mitai Maori Village began with the unearthing of our traditional hangi dinner. Cooked in the earth, the kumara (Māori sweet potato), potatoes, chicken, and lamb were impressively tender and flavorful. In addition to the meal, we walked through the village, learned about the sacred spring, watched traditionally dressed warriors paddle a waka (war canoe) downstream, and saw eels, trout, and glow worms. However, the evening’s highlight is an exceptionally well done cultural performance, on par with the one at Waitangi Treaty Grounds (in the Bay of Islands). It is an introduction to the Māori people and their culture. Ohinemutu Māori Village is home to the Ngāti Whakaue tribe that initially arrived in New Zealand around 1350AD. It’s a significant piece of Rotorua history. In the 1870s it was a frequent stop for visitors (including royalty) who soaked in the healing waters before heading to the Pink and White Terraces. Principal structures include a church, carvings, outdoor bathing-shed, steam vents used for cooking, and a Marae (meeting house) with an exterior of incredibly intricate and beautiful carvings (not open to the public), and St Faith’s Church. The Tudor-style exterior of the church is in contrast to the Māori influenced interior which includes an image of Jesus wearing a Māori cloak etched into one of the windows. Visiting here is one of the free activities in Rotorua, although guided tours are available for a fee. 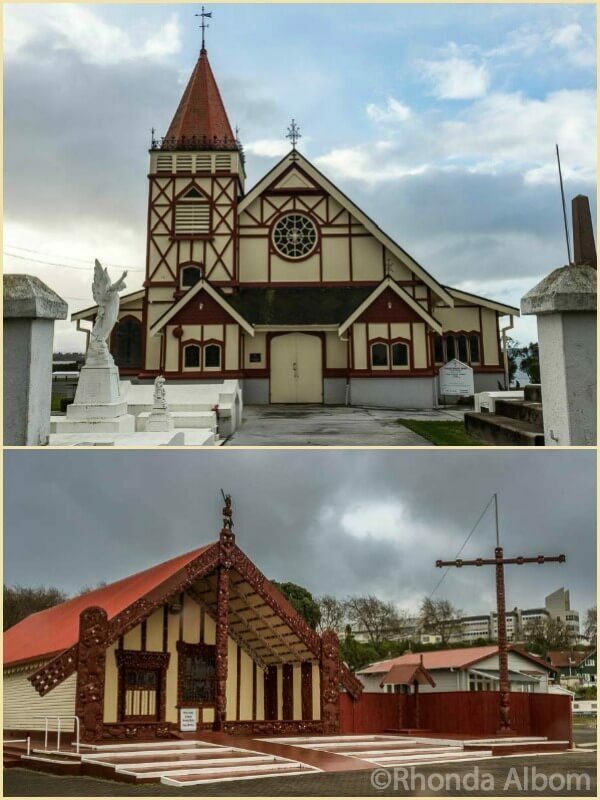 St Faith’s Church (above) and Te Papaiouru Marae (below) at Ohinemutu Village. Agriculture is New Zealand’s number one industry, and sheep outnumber people by 7 to 1. Learning about our farm industry is a Rotorua must do for visitors who want to understand the country better. Agrodome gives visitors a chance to experience a real working farm with its famous farm show and farm tours. We did both. While aimed at tourists, it’s informative and entertaining. The Agrodome Farm Show introduced us to 19 breeds of sheep, working dogs, and a cow. 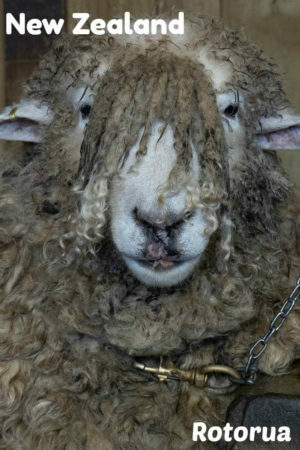 We learned which sheep are predominantly used for wool (Merino), for carpet (Drysdale), for meat (Romney), and more. Headphones at each seat can be used to translate the speaker into one of 8 languages. Despite holding over 500 people at capacity, audience involvement is encouraged and volunteers are invited up on the stage to bottle feed baby lambs (children) or to milk a cow (adults). After the show, anyone can go on stage for a closer look at the sheep. For an overdose of adorable, be sure to see the baby animals (and cuddle a baby lamb) in the nursery. 19 different breed of sheep brought on stage one by one at Agrodome. 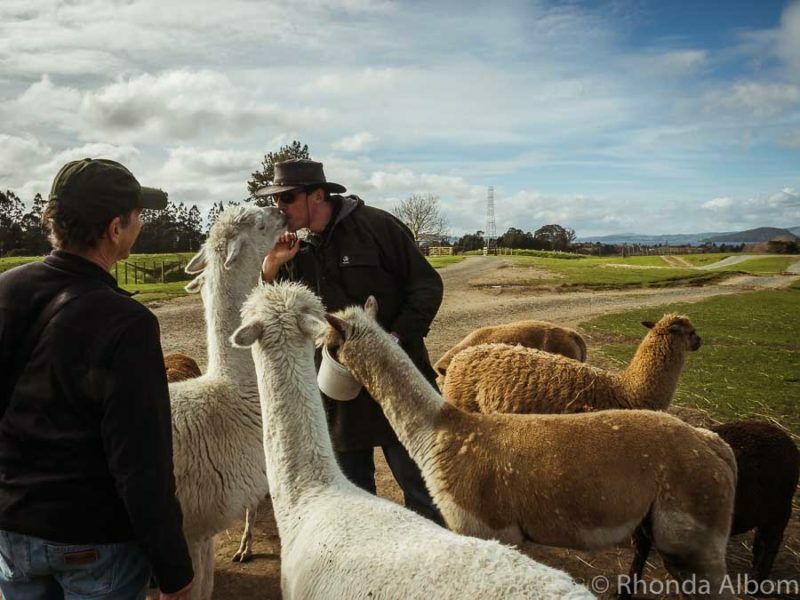 We toured a portion of the 350-acre farm in an open carriage tram with plenty of stops to get out and feed sheep and alpaca or to sample honey and kiwifruit juice. Then we passed through olive, kiwifruit and feijoa orchards as well as seeing emu, ostrich, miniature ponies, donkeys, llamas, and the Clydesdale horses used in the The Lord of the Rings movies. Hand feeding the alpacas was my highlight of the Agrodome farm tour (because it was fun, not because I happened to get a shot of the handler sharing food with an alpaca). When you’re ready to unwind, Rotorua has plenty of options. We soaked away our cares in the warm healing waters at Waikite Thermal Pools. Our entry included six pools ranging in temperature from 32c – 40c (90f – 104f). My favourite was an infinity pool that overlooks the steaming valley. The soak was relaxing, the view surreal, and the mineral water left my skin soft and smooth. Private pools are available for an extra fee. NOTE: It is always a good idea to keep your head above water in Rotorua thermal pools. 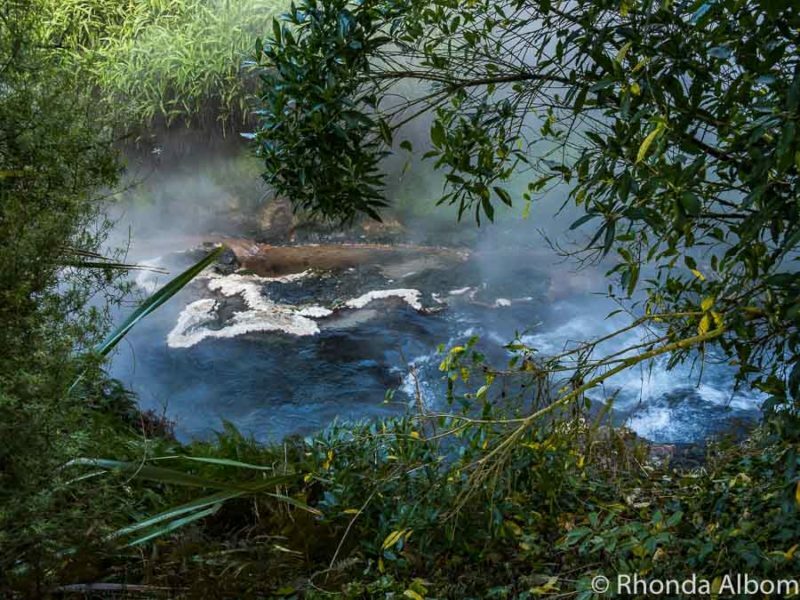 The Eco Trail at Waikite Valley is a fascinating and colourful under 10-minute walk leading to a hot spring that has the largest discharge of boiling water in New Zealand, discharging at a rate of between 40 – 50 litres per second at a temperature of 98°c. The Te Manaroa Spring at the Eco Trail at Waikite Thermal Pools. 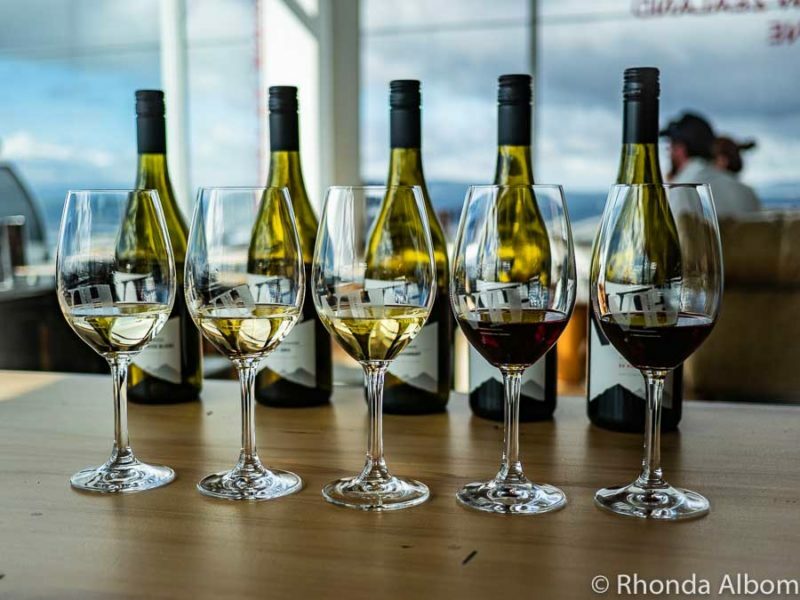 It was the combination of endless views over Lake Rotorua and the chance to sample the wines that New Zealand is famous for producing that enticed us into Volcanic Hills Winery. We started with a Sauvignon Blanc, a perfect pre-dinner wine with a hint of passion fruit and lime. Next, Pinot Gris, the party starter or ‘seductress’ as our wine host called it adding, “it’s simple, easy, and you just want more.” The queen of white wine, Chardonnay followed, perfect for serving with fish, chicken or pasta. Finally, two different Pinot Noirs, the ideal complement to a steak. Optional food items can be ordered to compliment your wine tasting. These are the five wines we sampled at the wine tasting of Volcanic Hills Winery – Marlborough Sauvignon Blanc, Marlborough Pinot Gris, Gisborne Chardonnay, Wairarapa Pinot Noir, and a Central Otago SV Pinot Noir. 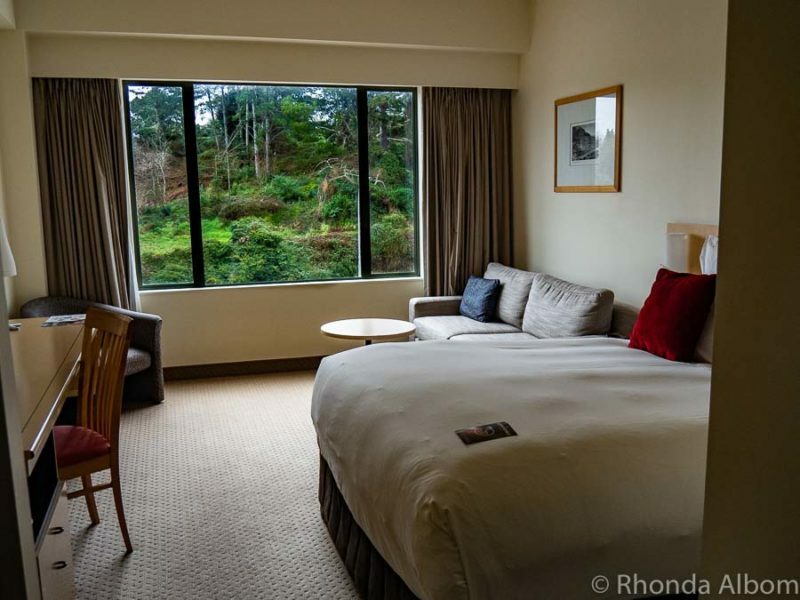 If you are like me, and a good night’s sleep in a clean, uncluttered room with friendly staff top your list for accommodations, then you will love the Novotel in Rotorua. While this lovely lakeside hotel was selected for us, it ticked all our boxes. The unpretentious rooms held secrets like a feather top mattress, huge plush bath towels, fair trade amenities, and USB wall outlets. For us, the Novotel is the best place to stay in Rotorua. Our room at the Novotel Rotorua Lakeside Hotel. Of course, there are other places to stay in Rotorua. As one would expect in a key tourist destination, the options range from campsites to luxury Rotorua hotels. If you are wondering where to eat in Rotorua, head to Eat Street. Here you will find just about any flavours you might desire from hamburgers to steak, ethnic foods, or drinks. CBK on Eat Street – Thick, creamy, and tasty, the Seafood Chowder at CBK on Eat Street is a satisfying meal. We’ve been told they also do a brilliant stone grill. Lone Star – A Texas-themed restaurant, Lone Star’s ribs please my American-born palate. It’s located on Whakaue Street, just around the corner from Eat Street. StratosFare – Take the gondola up and enjoy one of the biggest and most elaborate buffets I have seen, with stunning views that will encourage you to linger. They are open for lunch and dinner, take bookings, and have a standard of dress that is casual, but smart. This is only a portion of the massive lunch buffet at Stratosfare that included giant prawns, crab meat, a carved roast, and plenty of dessert options including handmade crepes. Rotorua is on New Zealand’s North Island in the Bay of Plenty. 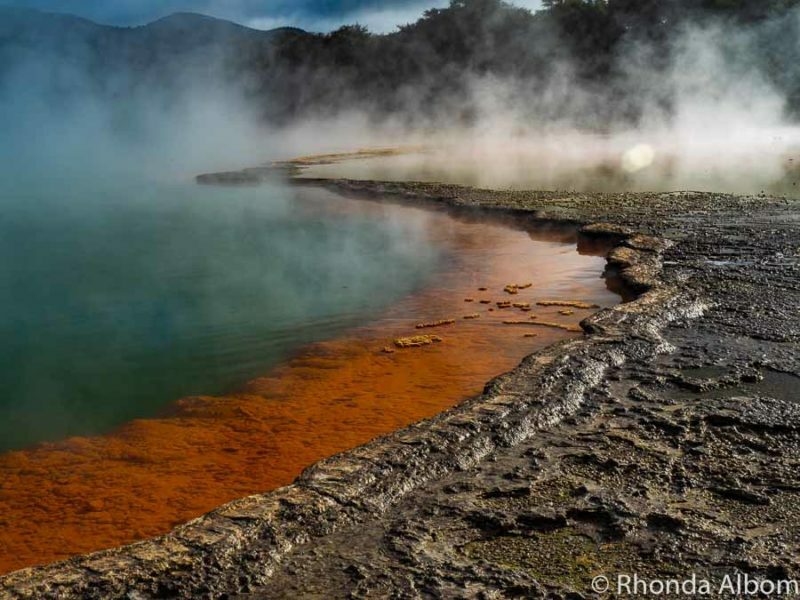 Rotorua is a geothermal wonderland on a fault line that runs from White Island to Tongariro National Park. It’s easy to get to Rotorua by car or bus (from major cities). Auckland to Rotorua drive time is a bit over 3 hours, while the time from Wellington to Rotorua is about 5.5 hours. 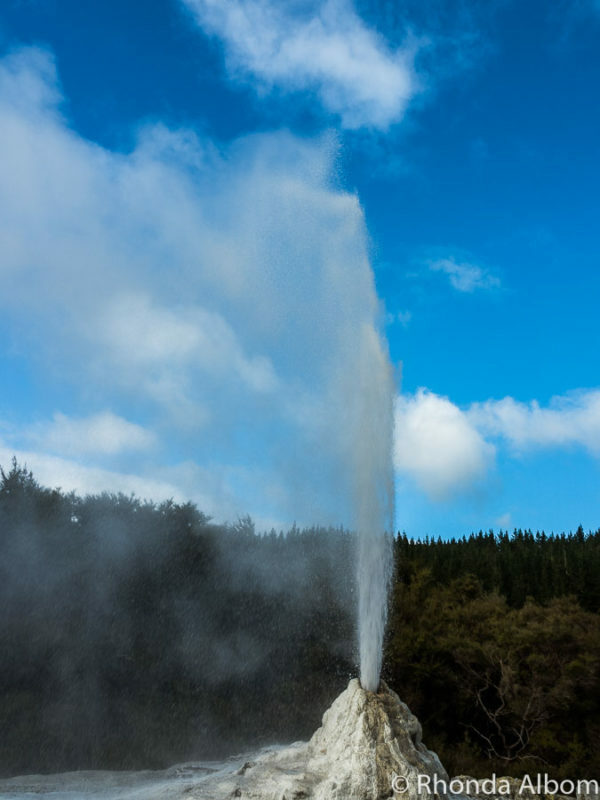 What will you do when you visit Rotorua? 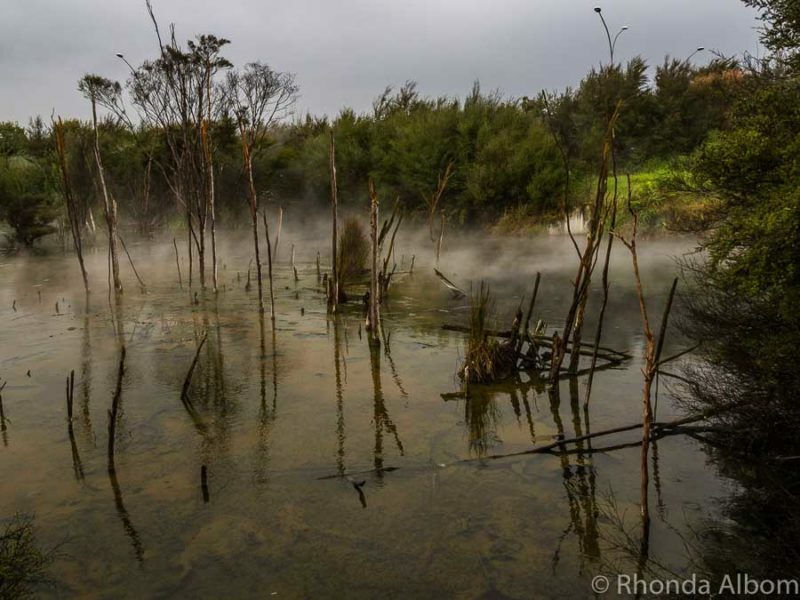 Great shots of Rotorua, Rhonda. Brought back many happy memories of our visits there. I am pretty sure I have that same photo of the Champagne Pool. It is wonderfully photogenic. We usually stay at Taupo when we visit the area but maybe we’ll give Rotorua a try next time. Hi Rhonda. I’ve had a problem with the link to my blog so this is the new one if you’d like to visit me on my blog. The geothermal areas look so inviting!! They will be really useful for my future trip to NZ. Thank you! Photos are inspiring too! Is there access for mobility scooters on the island as I not able to walk and it is very difficult get around. Its lovely views. 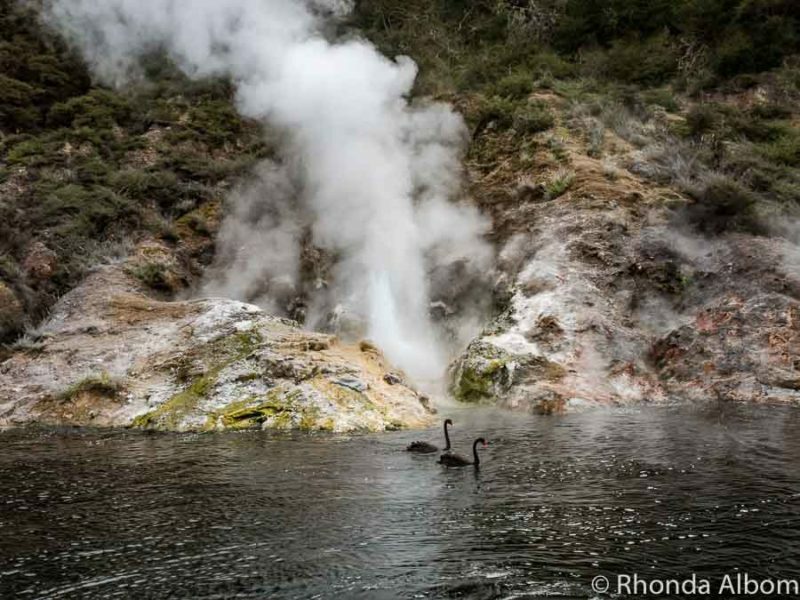 There’s adventure, geothermal wonders, and culture in Rotorua. We were in Auckland last August. And it is only a 3-hour drive!!! Bummer. My number one activity would be the gondola ride! Not too risky but so fun. I love all those kinds of sheep — and the alpacas. Visiting Roturua would certainly be an adventure! I have DEFINATELY decided to do the Downhill Ball Rolling thing! Managed to see and do a few of the things you mentioned. A highlight of my visit to New Zealand. Looks like there’s heaps to do there. What a great place looks like some fun too had to smile at you in the thermal pools and Jeff on the Skyline Luge heheh! I knew about the lunge, but I’ve never heard about OGO before. Seems like a lot of fun, but I’m not sure if I would do it (I suffer from claustrophobia). We also did the hangi dinner. It was delicious, I would recommend it to everyone going to Rotorua. We were there in 2017 for 3 days. We did a couple of the things you mention, but also some very different activities. Just shows that there is so much to do there. We loved our 8 weeks in New Zealand. Passing this on to my daughter as she is headed to New Zealand for her first time in a few months. Looks like a wonderful place to visit – wish I was going, too! WOW! New Zealand is high on my bucket list, and I think it just moved up a spot or two. I’m not a big adventurer – although that luge looks like so much fun – but I am all about those thermal waters, the food and that gorgeous scenery! Amazing and gorgeous place with plenty of things to do. I am not too big on the outdoorsy stuff, but l got excited when l saw the wine tasting! Yep!!! That would be for me. I liked Rotorua a lot! Just had allocated too little time for this place 🙁 Didn’t know there was a tree walk at the redwoods. Just stopped by shortly on a free snapshot tour. oh yes, the Wai-o-tapu pools were awesome, we loved seeing them spit and boil. We didn’t go into the buried village though, that was a bit pricey for us. What a beautiful place, Rhonda! The more I read your guides the more I want to come visit New Zealand. So many great things to do in Rotorua. 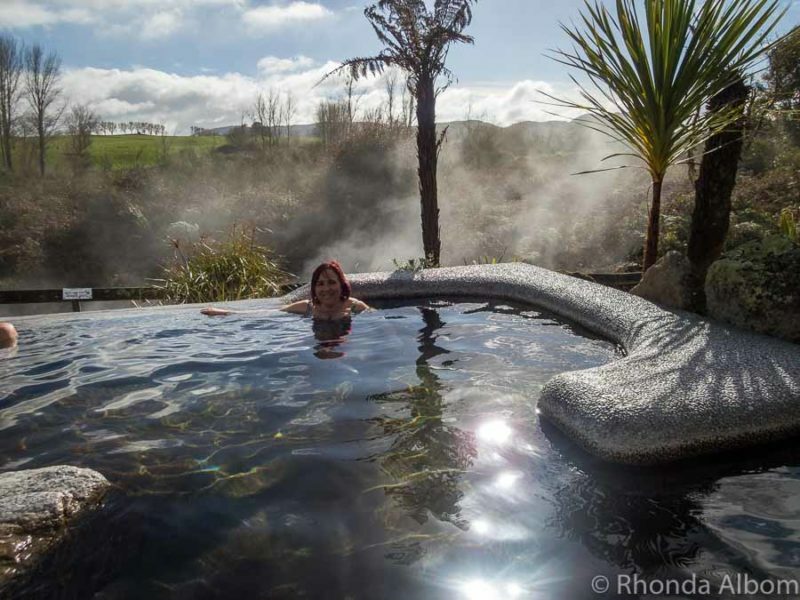 I think I prefer the thermal pools and the wine tasting over the other more adventurous things (like luge).I’d love to explore the Waimangu Volcanic Valley. It seems like the perfect place for hiking and photography. Yes!! 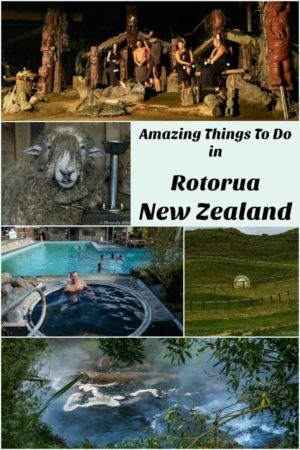 You and I are very much alike and am sure you have selected the proper things to do in Rotorua. I am looking forward to your visit. You will love New Zealand. My brother lives in Auckland and he’s been recommending Rotorua a lot. I can see why. Those swans look really content, too. I actually had no heard of Rotorua before, but it looks great especially for adrenaline junkies. That luge looks fun, I don’t think I have ever seen anything like it. Nice that you can do wine tasting too, one of my favorite activities. The wine was beautiful and we learned so much there, perfect for after the luge, and the views are amazing. Wow!!! Just pinned this as I am sure many have….looks amazing! Thank you for sharing. I had the great privilege to visit Rotorua about ten years ago and reading your post brought back so many memories of my visit there. 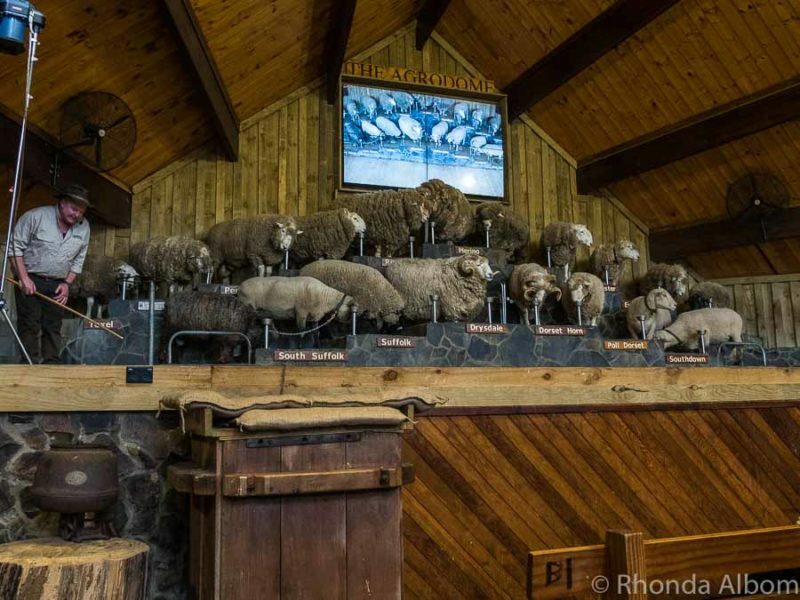 I rode down the mountain on the luge; stayed overnight in a Morae, ate hangi, and learned some Maori dances; visited Wai-o-tapu Thermal Wonderland; and saw all the sheep at Agrodome. It was such a cool area and I have very fond memories of it. If I ever make it back there, I’d like to ride in that OGO, go zip lining, and do some white water rafting. What an honour to spend the night at the marae. There is plenty that is new from 10 years ago, but all the classics still remain – and the nature, well that will always be there, we hope. What gorgeous views! I would love to get to New Zealand some day! They are beautiful and interesting. I love all the steam. 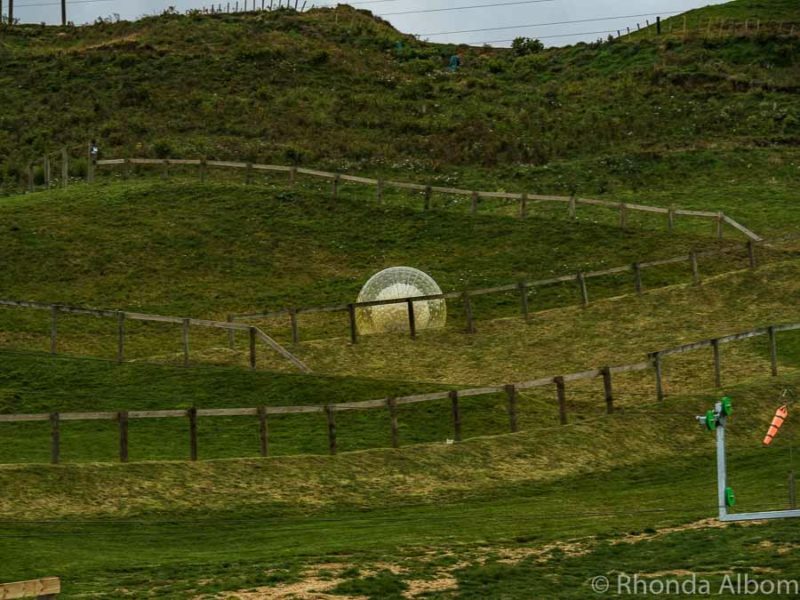 Just to clarify, OGO is a different venue, “Andrew Akers, one of the owners of OGO Rotorua and inventor of downhill ball rolling, founded the Zorb Company and was CEO of Zorb Ltd until departing in 2006.” Note: Zorb is a registered Trademark of Zorb NZ Ltd.
Wow. What an amazingly comprehensive guide. I’ve never heard of Rotorua before but was intrigued by the article. Really surprising how many spring there are and you are right about not just jumping in. The luge rides look fabulous and the night treehouse walk looks amazing. Is it really buggy? Interesting question, and one I hadn’t thought about. I never saw a mosquito, or really any annoying insects while in Rotorua, but it is winter in New Zealand. This seems like a really cool place! I really want to see that Geysir. It looks so cool! The geyser is every morning at about 10.15, so it’s easy to schedule around. OMG! This place is really fun and wonderful. There are lots of things to do. Too bad we are booked for Australia for our next vacation. We were actually thinking of New Zealand too but thought we won’t have many things to do in NZ. Will definitely consider Rotorua during our next trip. Australia is pretty awesome too, although I have to admit, I am biased towards New Zealand. Next time you are down under, make a full several week holiday out of New Zealand, you won’t regret it. So many amazing things to do Rhonda yet we just enjoyed the town itself. Definitely more pricey and tourist-y yet, like all things New Zealand, more understated than tourist towns around the globe. We dug the range of restaurants and the chill nature of the place…again, compared to most completely overrun tourist areas. The surrounding nature is beautiful though. We saw a huge lake while riding by on the bus; quite scenic. Like everywhere in New Zealand that is aimed for tourists, it is more expensive (except Wellington, that’s a town loaded with free things to do). However, Rotorua is filled with unique opportunities, so you are getting value for your money. A little wine tasting and then petting llamas sounds perfect. Just like we used to do at Anderson’s Vineyard in ABQ, only we petted horses afterwards. I would love rolling down the hill in a ball. I’d laugh and giggle all the way to the bottom. We hand fed and pet the llamas in the morning, had the wine tasting in the afternoon. They are at two different areas, one at ground level, the wine tasting at the top of the gondola. And yes, you will be giggling all the way down. WOW! What a fantastic place to visit. I would love to go up on the Gondolas and down the luge but not as fast as your husband. Now that large ball, going in a circle that long would make me sick. The hot water might be to hot for my body but everything looks just wonderful. I will leave the wine tasting to you but the food, now that’s my place of enjoyment. LOL. See ya Rhonda. The scenic track at the luge will be perfect for you, it’s also called a beginner track. It was more my speed too. As for the ball, you mostly stay at the bottom as the ball rolls around you. I visited Rotorua a few years ago and loved the Gysires! It smelled a little, but it was so fascinating. I also visited the Māori village which was awesome to get an impression of how the people live there. Great guide, thanks for all the information! It does smell a bit, worse in some places than others. But that’s how we know we are somewhere really special. This is a fab list of things to do! I think i would enjoy each and every one of those activities. The landscapes look amazing here and the skyline luge looks super fun! We enjoyed every activity here, and as a photographer, I fell in love with the landscape. Glad I could help you add New Zealand to your list. We came 16 years ago for the first time, and we still live here. I couldn’t have read this post at a better time! I have been thinking about a trip to Rotorua soon and now I am super convinced this would be an amazing trip! Wai-O-Tapu Volcanic Wonderland looks absolutely stunning. Those colours! And I have done the luge in Queenstown and it was crazy fun although I hear the Rotorua one is better. And no thanks for the downhill ball rolling…. I reckon I’d get motion sickness from being in that ball and being thrown around. You will love Rotorua. It is very much New Zealand, yet different from everywhere else. An experience not to be missed. And bring your camera because the colours are incredible, and we were there in cloudy weather. As for the ball, it is gentle. I’m interested in working in the farm, unwinding in the spa, and watching the farm show! New Zealand looks amazing. Do you have any idea how much is the ideal budget for one week trip in New Zealand? New Zealand is not a cheap place to visit, and a budget would depend on where you want to go, how you want to get there, type of accommodation you choose and which activities you want to try. LOL – that’s because we did loads. We were on the go . . . except when we were relaxing in the spa. I have been to New Zealand once in my life before, but I have never seen Rotorua before. This sounds like an exciting and a beautiful place to visit. I would love to visit the alpacas. They look so cute! The scenery is stunning, especially around the geothermal landscapes. I would love to ride in that ball someday, as it sounds like a lot of fun! I have to agree, the geothermal landscape is so interesting. I just love it. And, yes, the alpacas are adorable and very gentle. Wow, so many fun things to do. Great room and the food looks fabulous. Okay the wine does too. LOL – it was all fabulous – especially the Pinot Gris. You looked like you were enjoying that pool. I didn’t realize you had geysers. I’d do it all except roll down the hill in a ball. That might make me throw up. That pool was so relaxing. The naturally warm mineral waters leave me feeling so relaxed and happy. And, the downhill ball roll is less jarring than one would expect.